Hair loss can be caused by many different diseases. 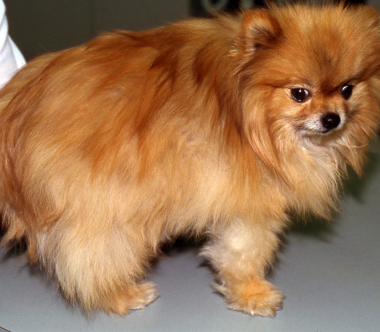 Pomeranians and other Arctic breeds may develop a hair cycling abnormality referred to as Alopecia X. This condition can only be diagnosed after more common hormonal abnormalities are excluded. 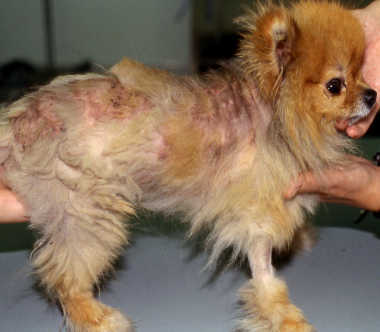 Knowledge of diseases that are common in specific breeds help veterinary dermatologists reach a diagnosis quickly and efficiently.